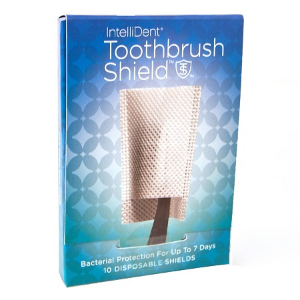 Breathable, quick drying shield that acts like a surgical mask for your toothbrush. Laboratory tested 99.9% effective barrier against surface and airborne bacteria. 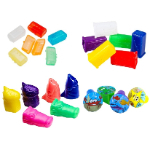 Replaces plastic caps and holders that trap and breed bacteria. Disposable and effective up to 7 days! 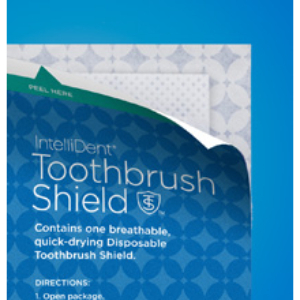 Each package of disposable IntelliDent Toothbrush Shields is designed to store up to 10 shields and provides easy access as you replace them. 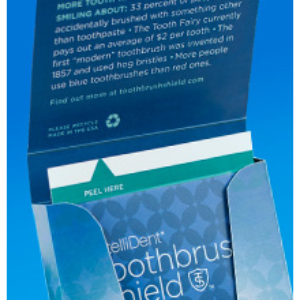 Each Shield is individually wrapped in a cold seal wrapper to ensure a fresh, new shield every time. 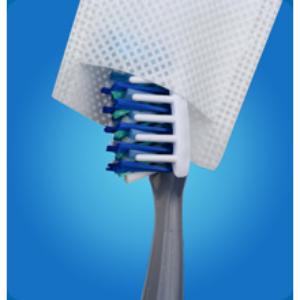 We recommend changing your Toothbrush Shield every 7 days for maximum protection! 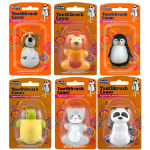 The 10-count Box is ideal for home, travel, work or anywhere in between. Available in 3 count and 10 count packages.